Description: The paper industry can have a significant, damaging impact on the environment if its sourcing, production and disposal are not sustainable. It’s possible to source 100% of raw materials for paper from renewable forests and to encourage high levels of recycling after use. Brazil’s pulp and paper industry is investing in improving sustainability practices throughout its entire production chain. Why do we love it: The Brazilian model shows that paper and cellulose industries can and must play a significant role in forest restoration. Brazil is the world’s largest producer of short fiber pulp and ranks ninth in paper production, but it really stands out in its ranking for the sustainability of its planted forests and its low-cost, high-productivity wood transformation process. Management models aimed toward preservation of biological diversity, the challenge of a clean production cycle driving companies to seek energy self-sufficiency and the use of renewable sources help to guarantee a balanced environmental scale. The effects have social impact. Diversified economic use of planted forest and the involvement of small producers through partnership programs create opportunities to generate jobs and income, modernize work relationships and increase the exchange of knowledge. The resulting numbers serve as models in the economic, social and environmental spheres. The pulp and paper industry is responsible for 5.5% of the Brazilian industrial GDP and generates 4.2 million jobs. The 7.74 million hectares of planted trees in the country were responsible for the storage of approximately 1.69 billion tons of carbon dioxide (TCO²). 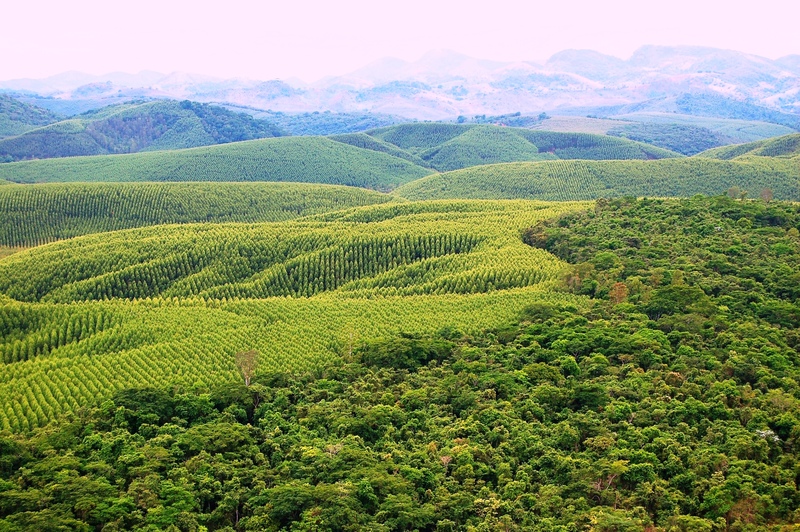 According to the Indústria Brasileira de Árvores (IBÁ), the association representing the sector, Brazil is home to the largest stock of carbon on the planet, with 12% of the world’s forests. Sixty-five percent of each hectare planted with trees for industrial use is preserved, as compared to only 7% in farming and cattleraising. The IBÁ says the sector accounts for 5.8 million hectares of recuperated land. “The sector contributed greatly to the recuperation of areas in the Atlantic Rainforest. It even took on an area of stripped land,” says Mauro Armelin, superintendent of conservation at WWF Brasil, the nation’s branch of the global environmental network. The effort is significant, given the worldwide loss of vegetation cover. In 1990, Earth had 4,128 million hectares of forest. In 2015, 3,999 million hectares are left. Green spaces, which occupied 31.6% of land on the planet in 1990 had been reduced to 30.6% in 2015 according to the UN study entitled Global Forest Resources Assessment 2015 – How are the world`s forests changing?. “If farming and cattleraising were to adopt the pulp and paper industry’s standards, Amazônia would be in a much better state,” says Armelin, from WWF. “Brazil is the world leader in pulp and paper expertise. 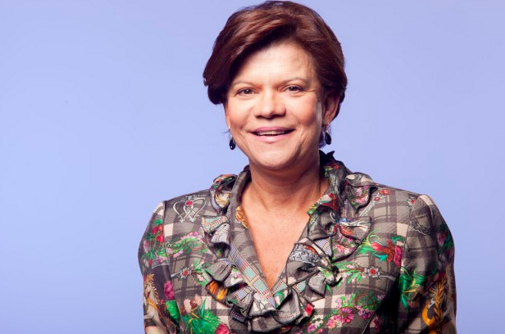 All this is economic and social sustainability,” affirms Elizabeth Carvalhaes, president of the Indústria Brasileira de Árvores (IBÁ), which represents 61 companies and nine state entities dealing with products originating from farming planted trees. And Carvalhaes’ claims carry ballast. One hectare in Brazil produces 39 cubic meters of short-fiber eucalyptus over a six-year cycle. Chile ranks second worldwide, where about 20 cubic meters are produced per hectare, but only over a 20-year growth cycle. The data come from the September 2015 report Papel e Celulose by Banco Bradesco’s Department of Economic Research and Studies. In Sweden and Finland, plantations take 35-40 years to develop and productivity falls to only 7 cubic meters. Fibria, which produces 5.3 million tons of pulp and paper every year at its 4 industrial units which in 2014 generated net revenue of R$ 7.084 billion, created a map of risk for eucalyptus disease and forest management actions last year in order to avoid, for example, erosion because of flooding. At all of its units, the company develops species able to endure extreme climates. Technological tools follow plantations’ growth second by second, with carbon scales and water and energy use efficiency mediation. The company stance on its vulnerability to climate change is that the entire chain holds value, leading it to adopt precautionary management policies for both forestry and industry. The company has adopted measures for water reuse, the elaboration of greenhouse gas emission inventories focused on cellulose’s carbon footprint, conservationist practices in road construction as well as resilience in bridge construction. Suzano, which operates on 897,000 hectares of forested land and has six industrial units, reported R$ 7.3 billion in revenue in 2014. It took a step ahead with its subsidiary FuturaGene, authorizing the commercial use of a genetically modified eucalyptus variety which promises gains in productivity and lower emissions of carbon gas. At its Imperatriz plant in Maranhão, Northeastern Brazil, a burning system allows for the primary sludge from the biomass boiler to be used as alternative fuel. Since last year, company community councils encouraged local development through job training programs. Part of the R$ 5.8 billion that Klabin is investing in its new pulp plant in Ortigueira, Paraná State, Southeastern Brazil, slated to come on stream next year with 1.5 million ton production capacity, will go to its own thermal power plant which will guarantee power sustainability for the entire group. 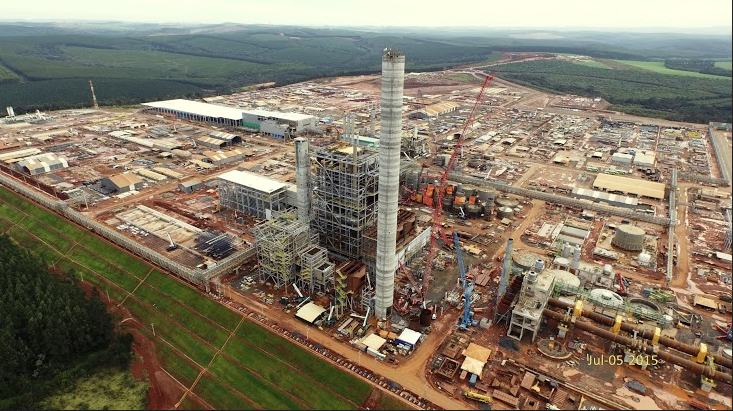 Klabin, which has over 239,000 hectares of planted area and production capacity of 3.5 million tons of pulp and paper at 14 industrial units in Brazil and one in Argentina, has already reduced its consumption of fossil fuels used in steam generation for the wood cooking process by 75%. And water reuse with a closed circuit system has reduced consumption of this resource by half. The company, which had net revenue of R$ 4.89 billion last year, is also working on innovations to increase forest productivity. Mosaic planting, where part of the land is used for planted forest and part is left with native vegetation, preserves areas near rivers and helps to create a micro-climate which preserves water resources. At its research center, 70 specialists cross 2,000 trees every year to create new, more resistant and productive hybrids. 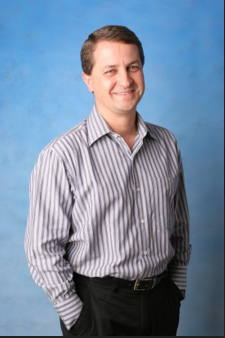 “We are always trying to close the cycle into an increasingly sustainable process,” says Klabin’s director of Projects and Technology, Francisco Razzolini. L’industrie papetière et de la cellulose brésilienne se présente comme une île d’excellence du pays, bien au-delà de la performance économique qui a permis au secteur à être responsable de la moitié de l’excédent des 10,5 milliards de dollars de la balance commerciale des neuf premiers mois de l’année. La préoccupation pour préservation de la diversité biologique, le défi d’un cycle de production propre poussant les entreprises à rechercher l’autosuffisance énergétique, et l’utilisation de sources renouvelables aident à assurer un bilan environnemental équilibré. Les effets ont des impacts sociaux. La diversification de l’utilisation économique de la plantation forestière et l’implication de petits producteurs – via des programmes de partenariats – permettent la création d’emplois et la génération de revenus, modernisent les relations de travail et amplifient le partage de connaissances. Les chiffres sont exemplaires, aussi bien en termes économiques et sociaux qu’environnementaux. L’industrie papetière et de la cellulose représente 5,5 % du PIB industriel brésilien et crée 4,2 millions d’emplois. Les 7,74 millions d’hectares d’arbres plantés dans le pays ont produit l’année dernière environ 1,69 milliard de tonnes de dioxyde de carbone (tCO2). D’après l’Industrie brésilienne d’arbres (IBÁ), qui représente le secteur, le Brésil dispose à lui seul du plus grand stock de carbone au monde, avec 12 % des forêts de la planète. Soixante-cinq pour cent de chaque hectare sur lequel des arbres sont plantés pour des fins industrielles sont consacrés à la préservation, contre seulement 7 % à l’agriculture. D’après l’IBÁ, le secteur compte 5,8 millions d’hectares de zones récupérées. « L’aide de ce secteur dans la récupération des zones de la forêt atlantique fut considérable. 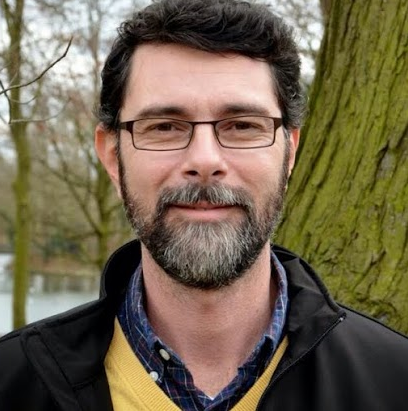 Il s’est déjà occupé d’une zone défrichée», affirme Mauro Armelin, responsable de conservation de WWF Brasil, la section brésilienne du réseau environnemental global. Cet effort est considérable compte tenu de la perte de couverture végétale dans le monde. En 1990, la Terre comptait 4 128 millions d’hectares de forêt. En 2015, elle n’en compte plus que 3 999 millions. Les espaces verts qui occupaient 31,6 % de la surface terrestre en 1990 ne représentent plus que 30,6 % en 2015, d’après l’étude « Global Forest Resources Assessment 2015 – How are the world’s forest changing? » de l’Organisation des Nations Unies (ONU). « Si l’élevage adoptait le standard de l’industrie papetière et de la cellulose, la situation en l’Amazonie serait considérablement améliorée », explique Armelin, de la WWF. « Le Brésil est le premier pays au monde en termes d’expertise dans l’industrie papetière et de la cellulose. Il s’agit de durabilité économique et sociale », déclare Elizabeth Carvalhaes, Présidente de l’Industrie brésilienne des arbres (IBÁ), qui représente 61 entreprises et neuf entités étatiques de produits issus de l’exploitation de plantation forestière. L’analyse de Carvalhaes sur l’excellence repose sur une base. Au Brésil, un hectare produit 39 mètres cubes de fibre courte d’eucalyptus sur un cycle de six ans. Le Chili arrive en deuxième position dans ce classement. En effet, ce pays produit environ vingt mètres cubes par hectare, mais le cycle de croissance d’un arbre est d’environ vingt ans, d’après le rapport « Papel e Celulose » du Département de recherches et études économiques de la banque Banco Bradesco, paru en septembre de cette année. En ce qui concerne la Suède et la Finlande, il faut compter entre 35 et 40 ans pour que la plantation se développe. Par ailleurs, la productivité par hectare n’est que de sept mètres cubes. Fíbria, qui produit 5,3 millions de tonnes annuelles de cellulose et de papier dans quatre unités industrielles ayant généré une recette nette de 7 084 milliards de réais en 2014, a mis au point, l’année dernière, un plan de risque de maladies pouvant affecter l’eucalyptus, ainsi que des actions d’approche des forêts afin d’éviter, par exemple, l’érosion due aux inondations. La réutilisation de l’eau, l’élaboration d’inventaires d’émission de gaz à effet de serre (GEE), axée sur l’empreinte carbonique de la cellulose et les pratiques conservatrices dans la construction de routes, et la résilience dans la construction de ponts font partie des mesures adoptées par l’entreprise. Suzano, qui intervient sur 897 mille hectares de zones forestières et dans six unités industrielles (et ayant enregistré une recette de 7,3 milliards de réais en 2014), s’est lancée, via la filiale FuturaGene, dans la mise à disposition à usage commercial d’une variété d’eucalyptus génétiquement modifié. Cette variété permettrait d’augmenter la productivité et de réduire les émissions de gaz carbonique. Dans l’usine d’Imperatriz, à Maranhão, dans la région nord-est, un système de brûlure permet d’utiliser la boue primaire de la chaudière de biomasse comme combustible alternatif. Depuis l’année dernière, des conseils communautaires de l’entreprise stimulent le développement local, tout en favorisant la formation professionnelle. Une partie des 5,8 milliards de réais investis par Klabin dans la nouvelle usine de cellulose d’Ortigueira, au Paraná, dans la région sud-est et qui sera inaugurée l’année prochaine avec une capacité de production d’1,5 million de tonnes, est réservée à une usine thermique propre qui assurera la durabilité énergétique de tout le groupe. L’entreprise, qui dispose d’une surface de plantation de plus de 239 mille hectares et d’une capacité de production de 3,5 millions de tonnes de papier et de cellulose dans 14 unités industrielles au Brésil et une en Argentine, a déjà réduit à un quart la consommation en combustibles fossiles dans la génération de vapeur pour la cuisson du bois. Des processus de réutilisation et de circuit fermé d’eau ont réduit de moitié la consommation de la ressource. L’entreprise, dont la recette nette s’élevait à 4,89 milliards de réais l’année dernière, favorise également l’innovation afin d’augmenter la productivité de la forêt. La plantation en mosaïques, dont une partie des espaces est occupée par les plantations forestières et une autre par la végétation d’origine, préserve les zones à proximité des fleuves, contribuant ainsi à la création d’un microclimat pour la conservation des ressources hydriques. Dans le centre de recherche, 70 experts développent 2 mille croisements par an afin d’obtenir des espèces hybrides plus résistantes et productives. « Nous essayons sans cesse de terminer le cycle pour un processus toujours plus durable », déclare Francisco Razzolini, directeur de Projets et de Technologie de Klabin.